Several years ago, Chase Adam was just a Peace Corps volunteer riding a bus through an area of Costa Rica known as Watsi. At one point, a woman climbed aboard and began asking passengers to donate to her son’s medical treatment. The proverbial light bulb switched on: What if you could fund healthcare for people in need, anywhere in the world? And that was how Watsi, a crowdfunding platform for healthcare, was born. On the day that Watsi launched in 2012, 16,000 people visited the site and donated enough to cover treatments for people in developing countries for six months. 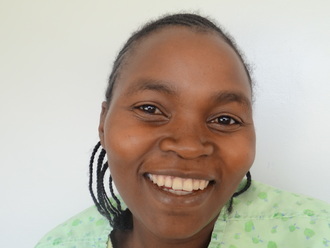 Watsi funds medical treatments for people such as Mary who don't have access to affordable healthcare. From the beginning, Chase knew that he needed to stay focused on his priority—funding healthcare for individuals without access to affordable healthcare. But was worried because priorities can easily become diluted by operational concerns, especially for fast-growing organizations. Scaling business operations can be difficult for any company that experiences 1000% growth in its first year, let alone one committed to complete transparency. All of Watsi’s financials are publicly available, which sets a high bar for accuracy. “It became clear very quickly that we needed somebody to help us manage our accounting,” Chase said. By outsourcing accounting to inDinero, Watsi’s books stay transparent. That’s important so that donors know exactly where their funds are going—donations aren’t used for operating costs without explicit permission. But even more crucially, outsourced accounting has enabled Watsi to remain focused on helping people. “What gets our team really excited is the idea that, one day, everyone on earth will have access to healthcare,” Chase said. They’re on the right track. Since launching with a humble $3,000, more than 5500 patients in 20 countries have received healthcare, thanks to thousands of Watsi donors. Outsourced accounting helps inDinero clients like Watsi scale in the face of rapid growth. See how outsourced accounting helped Zapier, a very different company, scale up.